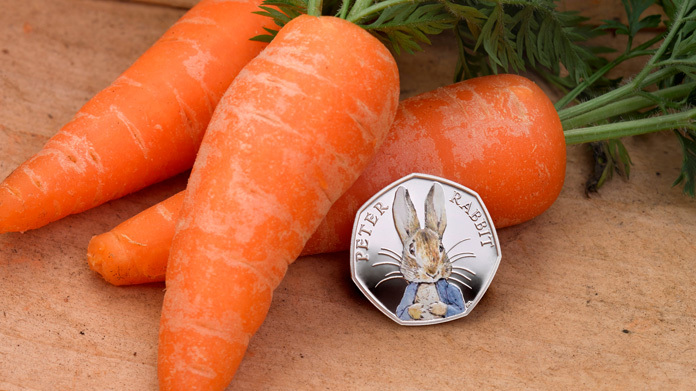 Spring is most definitely in the air and The Royal Mint team felt there was no better way to celebrate than by announcing the release of the brand new Peter Rabbit 50p coin. As the first children’s literary character to hop on to a UK coin, this is pretty big news. The set marks the 150th anniversary of the much-loved Beatrix Potter’s birth and rather aptly commemorates this fantastic author by using her own illustration of Peter Rabbit on the coin. This is just the latest step in our on-going campaign to popularise coins with the British public, to make them something to be treasured as a personal memento, as well as a marker of national occasions. And thanks to some great publicity skills from the team, we did just that. The news was featured in the first ever issue of New Day, as well as print across a whole heap of others (including) Daily Mirror, Daily Star, City AM, The Times and Metro Online). But for some, print alone was not enough, so we also found ourselves online with Daily Telegraph, Independent and The Guardian. Oh, and the story was also featured on the BBC News, Newsround , SKY News, ITV News, and The One Show. It’s fantastic to see that the news has had such an impact and that Potter’s timeless Tales remain popular as ever. So popular in fact that we actually managed to broke the internet (or at least The Royal Mint’s website).